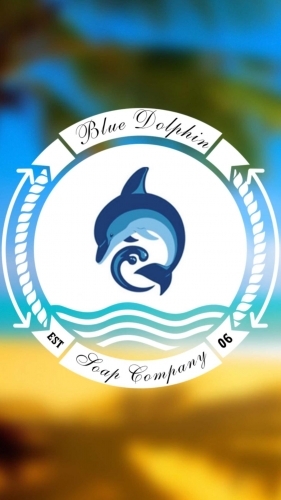 Blue Dolphin Soap Co. LLC. is a home based all natural skin and body care business. We are primarily a family operated business since 2008 located on the treasure coast of Florida. We are very proud to say our soaps are mostly plant based and made in America. Blue Dolphin is a pioneer of the industry along the treasure coast. We have many highly satisfied return customers who value our unique products and our goal is to eventually include you on that list. In our travel and experience people ask us what is your signature soap? Throughout the years it has been RESTORZ handmade bar soap for those with skin challenges like acne, psoriasis and eczema. Also a close second would be our Freedom all natural and K-9 insect repellent soaps for dogs and humans. Check out our testimonial page for customer reviews on our products. We ship our products frequently within the USA but no out of country shipments because of high shipping cost to the customer and costly problematic lost shipments outside the USA. If you however live in the Sebastian - Vero area we encourage you to visit Bay Street Pharmacy in Sebastian along US 1. Also please check out our ESTORE to buy conveniently online. Discover the ease of ordering safely online without ever having to leave home and your products will be safely delivered to you by US postal service at the address you provide. If out and about, you can find us at select craft fairs offering great show specials. Blue Dolphin products have been time tested over the years to be equally kind to various skin types. It's the lack of chemicals in our products that make them so healthy and very skin friendly. That's part of our secret to staying in business "nourish your skin to thrive". People often ask us how long our soap lasts. Generally a bar will last one person about 2-5 weeks depending on frequency of use and storage away from water. Our cold Processed soaps end up as combined by-products, soap and glycerin. Soap is a deep cleansing agent, it's an alkaline product that bonds to dirt and other foreign materials found on the skin. Pure soap by itself however has a tendency to strip the skin of its protective oils giving you that squeaky clean feeling. This is where the the second by product, glycerin helps by giving it glide and moisturizing as well as nourishing the skin protecting it from drying out. Our soap formula is more complicated to prepare than the "fun see through glycerin soaps" you can buy on the store shelf, but ours are more beneficial to the skin. Keep in mind, what goes on the skin stays in the body. Knowing that, it is our firm belief that olive and coconut oil are far better choices than store-bought commercial soaps made with SLS, ( Sodium Laurel Sulfates ) rendered animal fat and other caustic chemicals.. If you have muscular or joint pain discover the wonderful pain relieving benefits of all natural NATEUCA eucalyptus spray . NATEUCA is probably one of the most searched for eucalyptus pain sprays on the internet and rightfully so because of it's proven results and credibility. If you suffer from joint, muscle or nerve pain try NATEUCA today for natural pain relief. We know you have options when ordering product so we thank you in advance for taking the time to learn about our product and we greatly appreciate your continued business.